American University Community Service Coalition | AU Students Serving Washington D.C. AU Students Serving Washington D.C. The AU Community Service Coalition was featured in AUSG President’s first fireside chat. The Eagle featured the AUCSC in an article about the fireside chat. The full article can be found here. The Community Service Coalition is a new SG Department that will work with the Community Service Center to provide resources for students wishing to organize community service projects, according to Bronstein. He brought the Coalition into the SG with an executive order signed May 10. Stephen Bronskill, a sophomore in the School of Public Affairs, will act as director of the Coalition. Bronskill received a $700 grant from the Eagle Endowment awards in April to start the Community Service Coalition. He will run the Coalition with a staff of 14 AU students. The following document outlines the new relationship between AUSG and the AUCSC as outlined by President Nate Bronstein and Director Stephen Bronskill. 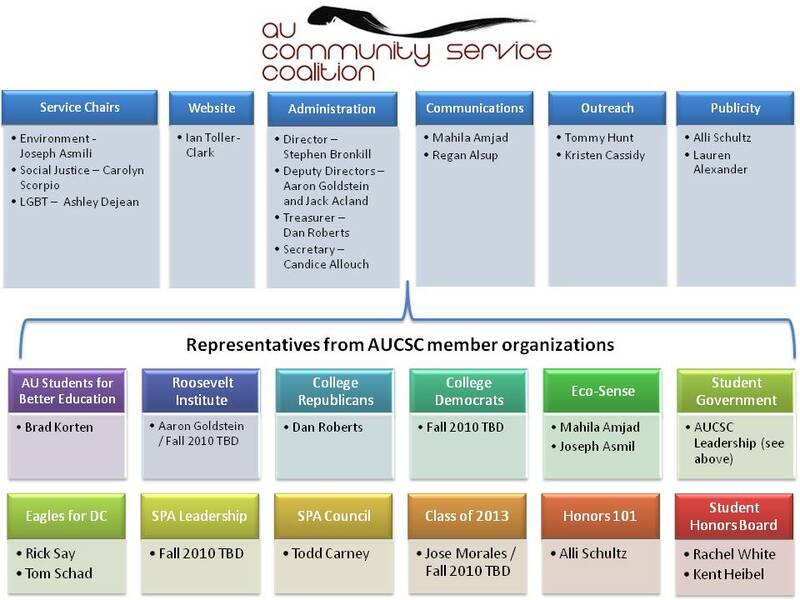 The American University Community Service Coalition is dedicated to bringing together a diverse group of campus organizations to work towards a common effort in serving our Washington D.C. community. 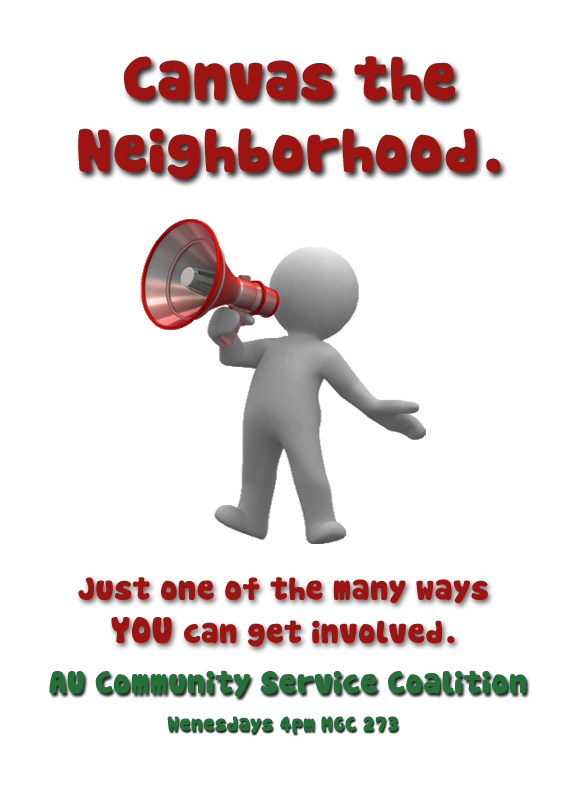 The coalition works to plan, publicize and participate in a variety of service activities across our region. We welcome all campus clubs and organizations to join our coalition that is dedicated to fighting for social, environmental, and economic justice as well as making service a lasting part of our American University community. 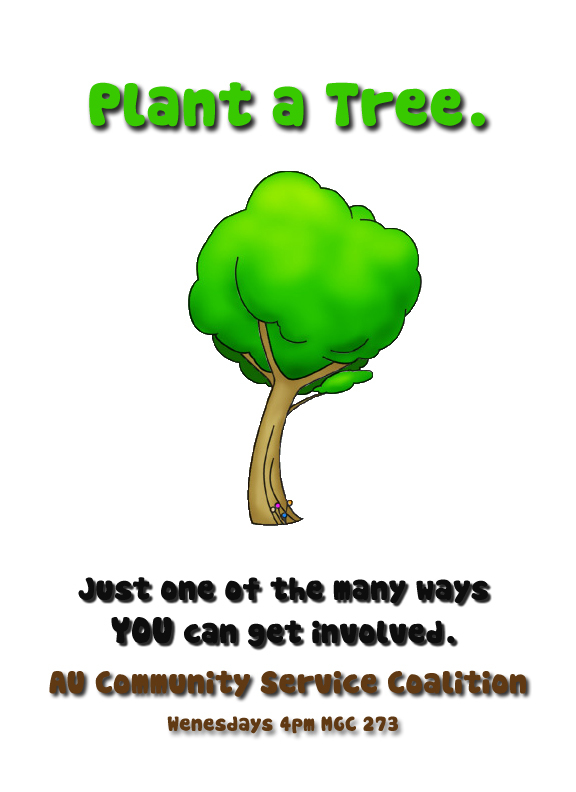 The Community Service Coalition will make service opportunities easy, accessible, and fun to join. Instead of creating a new club to complete community service, the coalition will work to employ existing institutions at AU to publicize events and increase turnout at community service events. The student government will play a vital role in facilitating the AUCSC, publicizing events, and achieving the goals of the coalition. Congratulations to the AUCSC’s New Members!! On May 11, 2010, along with the executive order effectively making the Service Coalition part of Student Government, President Nate Bronstein signed another executive order: 10-11-007P. This Executive Order made appointments to the Community Service Coalition. Below is a list of the appointments. Congrats to everyone!!! Director Bronskill looks forward to working with everyone! On April 23rd, 2010, President of the AUSG Andy MacCracken took a bold step in creating the Student Government Community Service Initative. On May 11, 2010, newly sworn in President of the AUSG Nate Bronstein signed Executive Order 10-110-006. The Executive Order effectively made the Community Service Coalition part of Student Government and named it the Community Service Coalition. 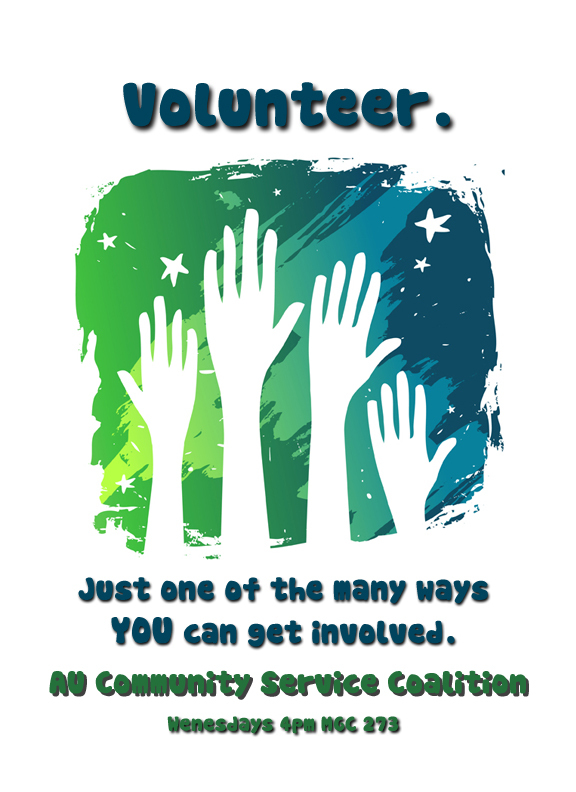 The AU Community Service Coalition is looking for leaders next year! If you are interested in joining, we would love to have you! Please download an application and send it in to aucommunityservicecoalition@gmail.com by midnight on Wednesday, May 5th. If you have any questions or need an extension, please let us know. New AUCSC Logo and Posters! From Tommy Hunt, rockstar graphic designer of the AUCSC, here are some cool new logos. Look for them around the residence halls next year! Honors 101 joins the AUCSC! Honors 101 is very excited to be joining the AUCSC! We love the idea of different campus groups working together to serve the wider community. Honors 101 is incorporating more community service into its program this year and looks forward to engaging the freshmen and mentors in the various service opportunities, both on and off campus. We welcome Honors 101 into the American University Community Service Coalition and are very appreciative of their efforts to engage incoming freshmen in the coalition. We look forward to all of their valuable contributions in the coming year.